Cook delicious bacon and eggs for breakfast then create appetizing hot sandwiches for lunch on the Professional Flat Top Griddle. This restaurant style griddle is designed with high sides and a convenient grease drain that makes cooking easy and cleaning simple. Heat diffuser plates have been added to evenly distribute heat and minimize hot spots, creating a perfect cooking surface. Pre-seasoned with Camp Chef's "True Seasoned Finish," this griddle has a natural cooking surface that is ready to use out of the box. 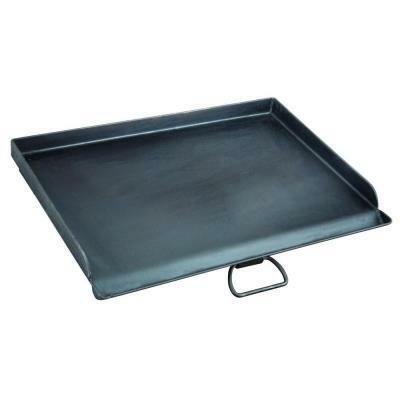 • Built-in heat diffuser plates distribute heat, eliminate "hot-spots"
• This griddle fits over two burners on Camp Chef's 16" Cooking System stoves. 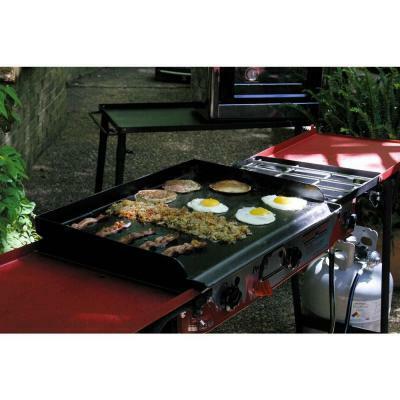 • Overall Dimensions: 18" x 24"
This is an awesome grill for big groups and works well with the triple burner stove! 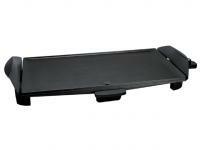 This is a great griddle! I enjoy my camp-stove experience, the griddle extends my use. 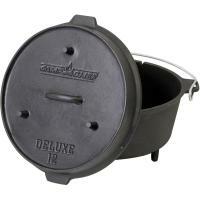 It is large and heavy duty allowing me to cook several items at a time. The griddle cooked hamburgers are a real treat. Thanks for a great product! There is nothing flimsy about this grill. And, because of circumstances, the first time I used it was to cook scrambled eggs for about 70 hungry kids, I didn't even have to cure or prepare the surface of the grill at all. It cooked perfect eggs right from the box. Wonderful bag that are made very stong. 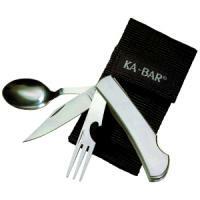 Easy to put item into the bag and looks great, no matter where you store it, even in any room in the house. 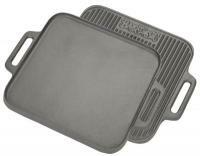 This Steel Ploished Griddle works very well in cooking anything if your time is sort. Warns up quick and easy to clean.